Bruce Springsteen Forum • Thema anzeigen - Bruce Springsteen tritt am Broadway auf! Bruce Springsteen tritt am Broadway auf! Betreff des Beitrags: Re: Bruce Springsteen tritt am Broadway auf! Wucher ! Das hättest auch billiger haben können. Ich denke von Nugs.net wird es da bald was Originales geben. Bruce Springsteen trat gestern bei den "Tony Awards" auf. Er bekam einen Ehren-Tony für sein Bühnenstück "Springsteen On Broadway". Vorgestellt wurde er von Billy Joel. I am honored to be back at the Tonys to present a Special Award to a fellow musician, an old friend, whose intimate show is Springsteen on Brodaway. It's all about the man and his music, not to mention the heartfelt stories behind 40 years of incredible songs. This extraordinary event began as an eight-week limited run but by the time it wraps up in December will have played 246 performances. The Boss is working hard! 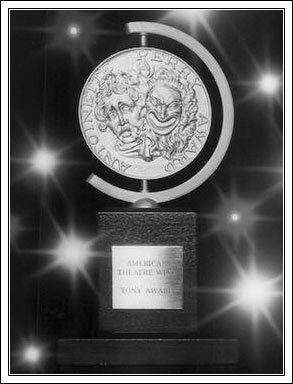 So for bringing hundreds of thousands of new theatergoers to Broadway, it's my pleasure to present the Special Tony Award to Bruce Springsteen. Thank you. This is deeply appreciated, thanks for making me feel so welcome on your block. Being a part of the Broadway community has been a great thrill and an honor for me — it's been one of the most exciting things that I've ever experienced. I've got to thank Patti Scialfa, my beautiful wife and artistic partner, for her love and inspiration every night. I've got to thank Jon Landau, George Travis, Barbara Carr, and Jordan Roth for the great work of getting our show on stage. And last but not least, our wonderful audiences, who've made these shows so exciting and fulfilling. Evan, Jess, and Sam — Daddy loves you. You've been wonderful to me this season, thank you so much. God bless all. Zum Ende der Show kam Bruce Springsteen auf die Bühne, um "My Hometown" zu spielen.